Even though this day is almost over for me, it feels like it hasn’t even begun. There has been so much to do at work, and it’s been one of those stressful days. Ahh! I hate days like those. You just go all day with this nervous energy, and can do nothing but be a marshmallow once you get home. *Sigh, tomorrow is a new day. 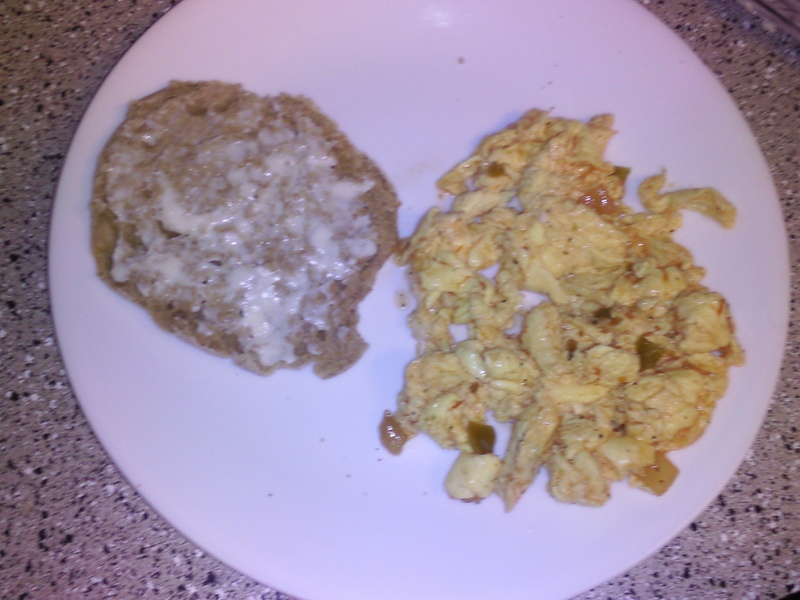 This morning began like most others, eggs and a toasted light english muffin with LC cheese spread on the muffin and cooked in the eggs. 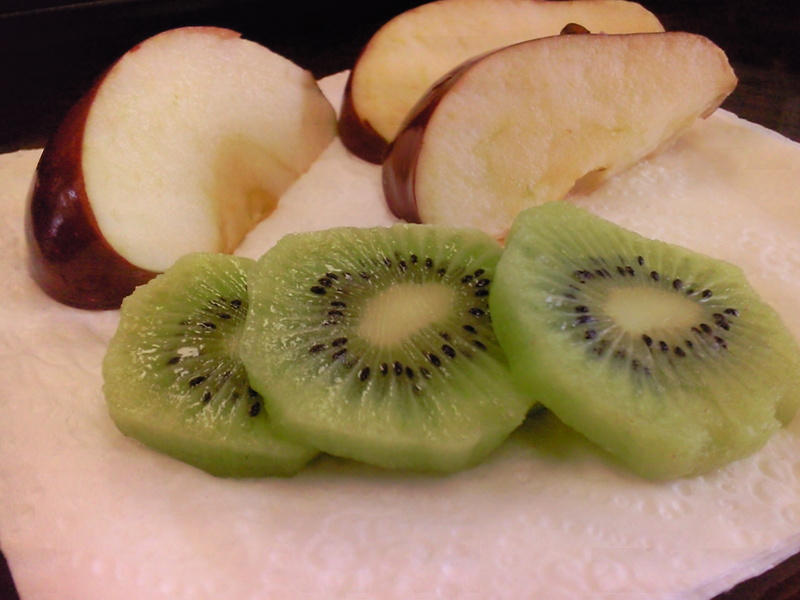 My morning snack was half an apple and half a kiwi. 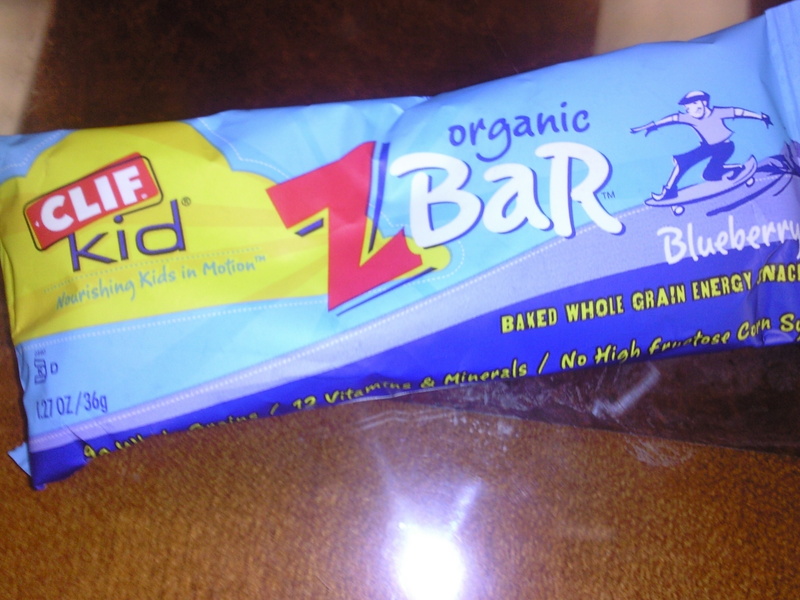 Even though I wasn’t exactly starving I knew 5 hours after breakfast I should eat something. I’m glad I did cause I do love kiwi’s!! I was excited about lunch today. 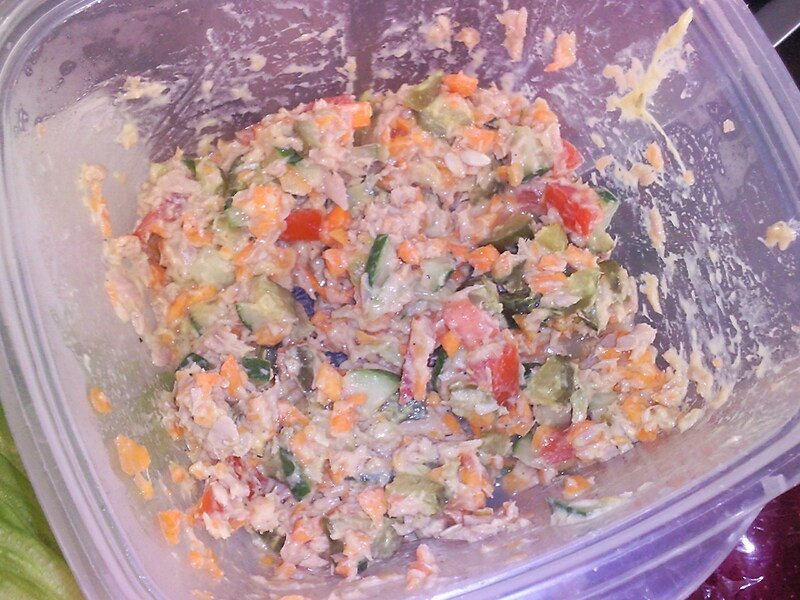 I had made a tuna salad last night with chopped carrots, cucumber, pickle, tomato, and some Dijon mustard. Super tangy! 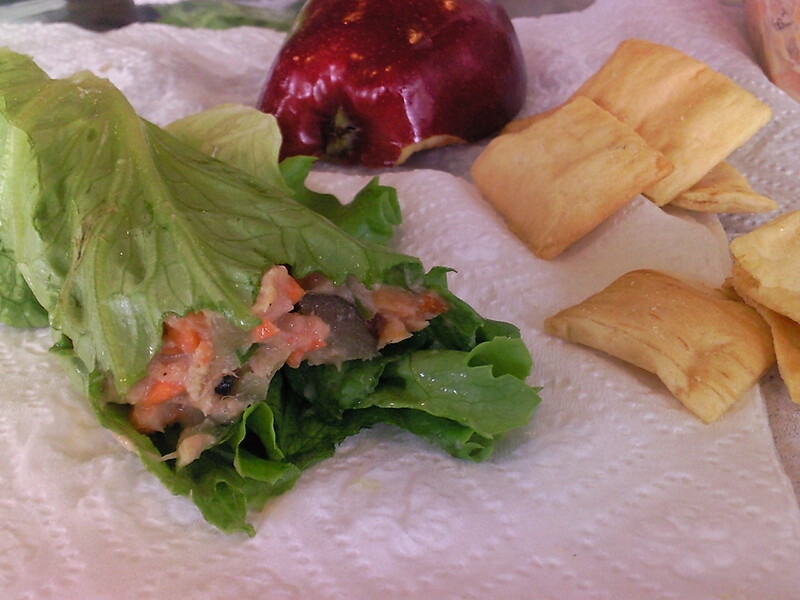 I rolled some up into lettuce wraps, and then I ate the rest with a fork! 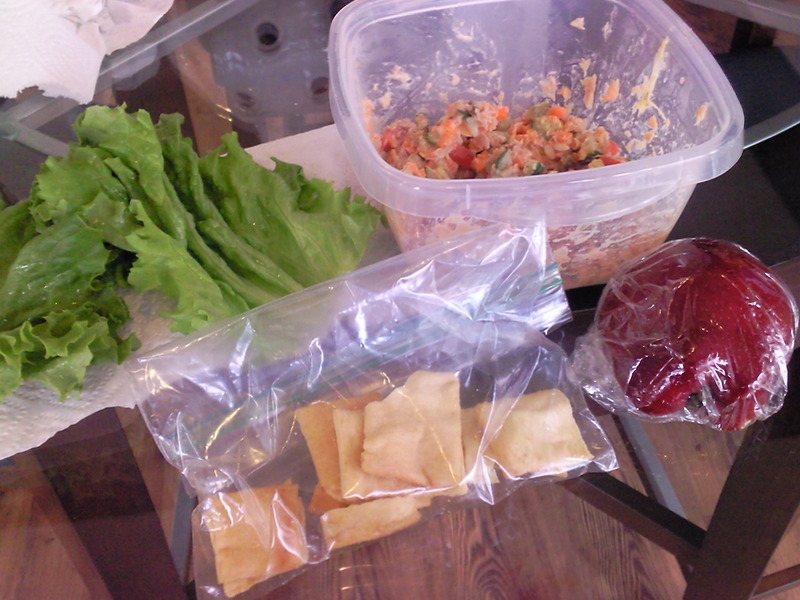 I also dipped my baked pita chips in it. I finished it off with the other half of my apple. I was loving my lunch today! I wish I could say that about the rest of my day. 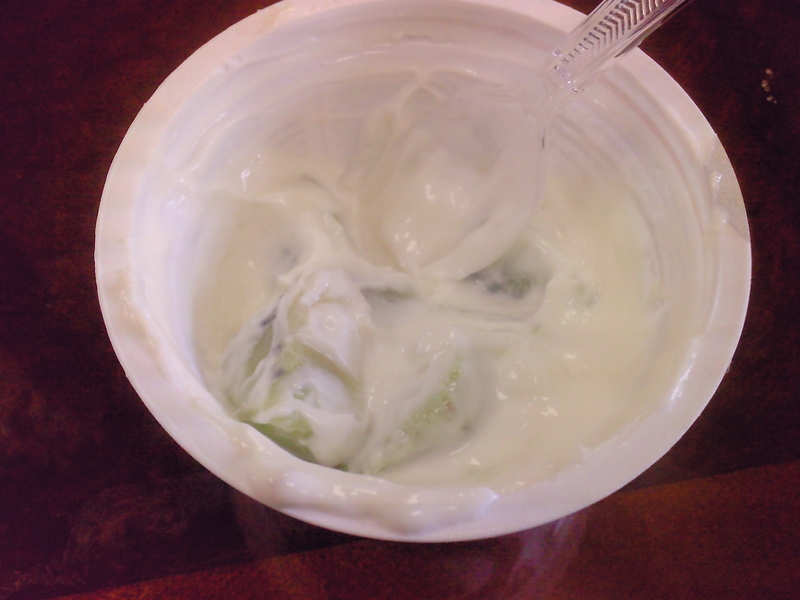 Nervous energy stuck around and I munched on half a Z bar before realizing that I really wanted my yogurt with the other half of my kiwi mixed in. Nervous energy made me not be able to think straight…hmmm. It’s Ok I probably would have eaten both anyway. Hopefully my evening will be less energetic and I will be able to relax. Does the Biggest Loser come back on tonight? ?